If there were a way for you to lose weight and keep it off wouldn’t you want to know about it? What if the method didn’t involve copious amounts of exercise and calorie counting, discouragement, frustration, and disappointment… and landed you lighter – forever – wouldn’t that be something you’d want even more? I’m going to share how to do that with you today. And I hope it changes your life. I don’t want to be perceived as bragging – so don’t take it that way – I know I now weigh what I weighed when I graduated from high school and college… don’t hate me, okay? I also don’t want you to read this as judgment. There isn’t any. I find it interesting that folks will ask me for help dealing with conflict, growing skill in that area, but few of us are open to thinking differently about weight. I’m not dishing judgment. And I admit the weight area is a hot button for many – I see it as just like anything else – there is freedom available to us, and sometimes we have to daily struggle through walking it out. I also am not setting myself us as the answer – only God has answers for us, I do want to put it on people’s radar and use it as a context. I wonder about the witness we give when as a demographic, Christians are the most over weight in American culture. I’ll put the source of that up when I find it again. I HAVE struggled with my weight – I don’t know one single woman who hasn’t. I’ve gained 45 pounds with each baby. I get that it takes some effort to get rid of it. But I know what makes it possible for me, and it might also make it possible for you. And it has absolutely NOTHING to do with anyone else’s plan except Christ’s. And it starts with our thoughts and our understanding of love. Please also understand this – in this world we will have struggles – walking out this freedom is a daily battle, harder for some more than others, and I don’t mean to imply that following Jesus “better” suddenly makes us thin. Or sinless. Or addiction free. Or stops all our worrying. Or whatever. Following Him, knowing Him, receiving the lightness of His yoke is what I am talking about. And I have struggles that still plague me, even though He is in me – I will continue to need more and more of Him every day to have freedom in more areas of my life. I picked starting with food because many of us Westerners turn to it instead of Him. It is an unspoken endorsed sin – and we all reap the consequences of a fallen world and what we have done to ourselves before finding freedom. This stuff is also talked about in depth in our book that comes out Tuesday, With All Due Respect. I’m calling a complete stranger – to grill her about who she is and how she raises her kids, to make a judgment about whether or not I’ll allow my kid to stay the night at her house… I DON’T WANT TO DO THIS. I don’t know how to have this conversation without her thinking I’m either rude, hyper-controlling, or a complete nutcase. But the other option was to tell my daughter that the great friends she’d made at the five day a week for six weeks theater camp she attended couldn’t mean anything to her. That I didn’t trust her judgment. That I let my concerns morph into fear – and she couldn’t go. Essentially by just saying NO, my fear would be more important than my trust and good will for her. She’s in high school – she needs to figure out how to do life in difficult circumstances. I owed it to her, out of respect, to at least find out what the environment would be like. And THEN make a decision. So I stopped thinking about myself – and started thinking about HER. I know, you’re wondering what this has to do with weight loss. I’ll get to it. Hang with me – it’s worth it. The mom had actually asked the parents to call her but I didn’t get this message. She tried to set up coffee times with us – because none of us knew her, or each other, and she and her family were new to the area. She wasn’t offended at all – she not only entertained my questions, but asked a few of her own – to have an idea of who was coming to stay the night with her daughters. As it turns out, she was a principal of a Christian school before moving here. And she was a stricter mom than I was. 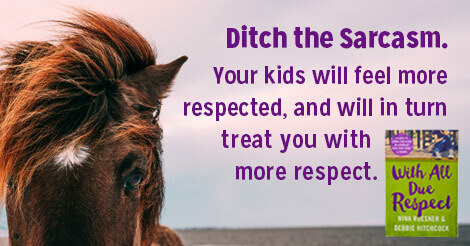 Because she had two girls – and they were well-behaved, made good decisions, and I’d heard numerous stories from my daughter over the six week period – and because the mom not only entertained my questions and gave me the info I needed to be okay with this – I said YES and let my daughter go. I remembered my boys going to Boy Scout camp at as 5th graders – I didn’t know hardly any of the kids there, and God met with them while they were away from us. I couldn’t control their influences for all their lives. They need to learn to live in this world – and fight the messages from the culture. We didn’t want them interacting with the “opportunities” of the culture without good practice in holding to their beliefs. And we wanted the same for our daughter. So given that there were at least two kids who had already demonstrated an ability to make sound choices – I let her go. The social research shows that if a kid is alone in his beliefs, he stands a greater chance of succumbing to peer pressure – but there is truth to the “safety in numbers” thing. They watched a movie we’d already seen – and even got some sleep. And as it turns out, I was the only mom that called her. I found that shocking and so did she. But I was glad I did the thing I was scared to do. My daughter plans to invite her girls over this summer. I’m looking forward to that for her. So what does this do with being able to lose the weight and keep the pounds off? I called the mom even though I was uncomfortable with doing it. I stepped out of my thoughts of what this woman would think of me, and focused instead on loving her well – and loving my daughter well. I believe it was one of those few moments where I listened to the Shepherd’s Voice instead of my own. He speaks, always, and if we deny our flesh, and do what is right, which sometimes involves bravery, we will engage with others and ourselves differently. My identity has always been wrapped up, to some extent, in what other people think of me. Your’s is too, if you are honest with yourself. We’ll always struggle with that to some degree here on earth. But our fears don’t have to own us – if we don’t wrap our identity up in other people’s opinions, and instead choose God’s opinion over everyone else’s. It becomes a habit over time. I’ve been working on this for years. Decades. Even before I understood the Christian concept of “taking thoughts captive” I had secular training on focusing on the positive. And I had the incredible privilege of working for my dad for a decade, one of the most positive and encouraging people I’ve ever known. In other words, I don’t believe the things my head tells me a lot of the time. I question my feelings. I actively step into fear – and it changes me. 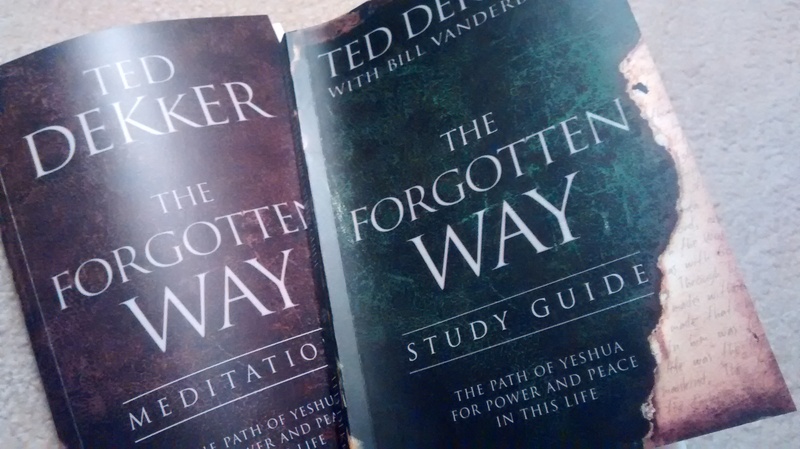 I’m doing a wonderful study right now by Ted Dekker. If you haven’t seen it yet – you totally should get it. Loving others means doing brave things. Even when we don’t want to. It’s all tied to our freedom – the freedom Christ brings to us. Hang with me – I’m super excited about this today, because we can help YOU get this, too. He means it for us all!! Our love will be bigger than our fear. There is no fear in love; because perfect love casts out all fear. I literally CANNOT do brave things if I’m living in fear. When we understand how much He loves us – we can then choose which thoughts align with His thoughts – and refuse the others, or POP! them. 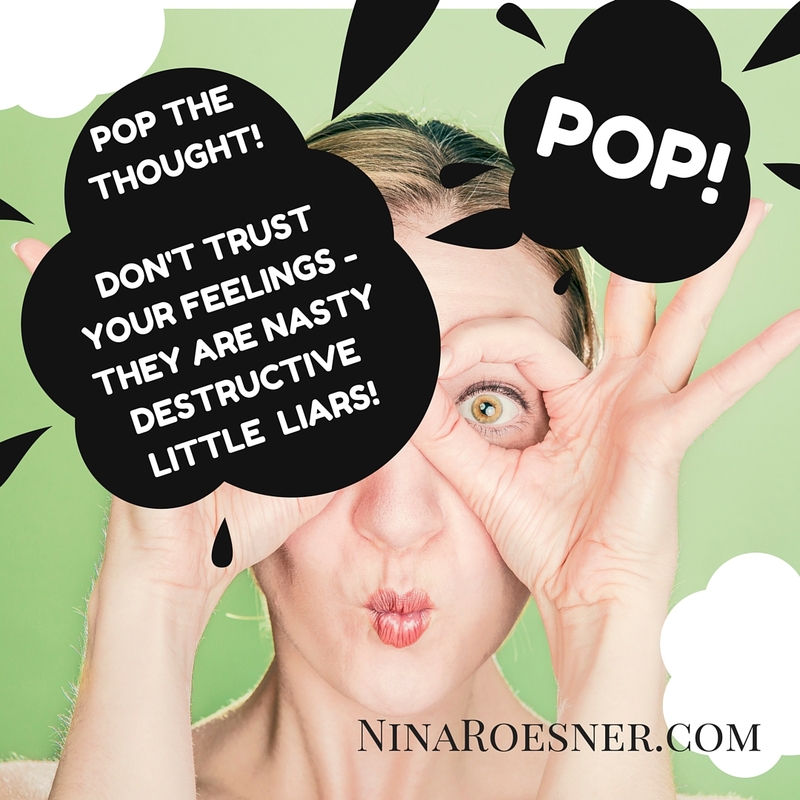 Can you see how much of our self-destructive behavior is judgment of ourselves? Can you see how we’re really ALL prodigals – given to either walk away, OR judge others or ourselves? I believe the sin of judgment (which is different than being discerning) is rooted in fear, and lack of understanding who we are in Christ. I also know it is the most damaging to relationships – with ourselves, with others, and with God. Criticism – pointing out faults, flaws, mistakes, etc. instead of Philippians 4:8 thinking, paying attention to what is true, noble, right, pure, lovely, admirable, excellent, praiseworthy, etc. Ego/Pride – this shows up in fear of what other people think of us, focusing on how we look, what we say, how we dress, comparing ourselves to others, putting others down so we can feel built up, etc. These things get in the way of God’s love for us, and in turn, then get in the way of the depth at which we can love others. So spend time with Him. My “trick” for weight maintenance and loss over the years is simple. Even before I knew Christ, I made an active decision about who I was going to be physically. Part of my identity was a decision to view myself as a specific type of person physically. I decided I was a healthy athlete that had a certain weight range and good habits of eating. I may not be as cool of an athlete as many people who wear that title, and am not even close to those who wear it professionally – but I’ve chosen to see myself that way. So when the scale reads a higher number than it should in the range, I actively remember and focus on how an athlete would deal with this. Daily, in the small choices in the middle of a day, I think like a healthy athlete would about food. When I find myself stressed or worrying, opening the cupboard for comfort, because I have this habit of not trusting those feelings and choosing positively – I simply decide I’m not going to be tricked. And I decide to wait 20 minutes before snacking for comfort. The Spirit always reminds me of Himself in that time span. So I can receive TRUE comfort from the Comforter and Lover of my soul. I also make active decisions to enjoy food – frequently. But the bigger thing is I’m not carrying the weight of fear. And this carries over into the other areas of my life – I don’t often struggle with fear of evaluation. I do care about others, and I want to represent Christ well, but others’ opinions no longer drive my decision making. For freedom Christ has set us free; stand firm therefore, and do not submit again to a yoke of slavery. Look: I, Paul, say to you that if you accept circumcision, Christ will be of no advantage to you. I testify again to every man who accepts circumcision that he is obligated to keep the whole law. 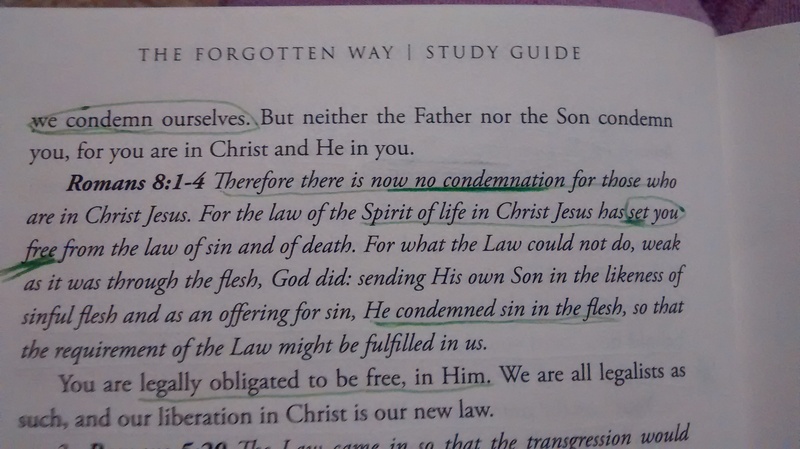 You are severed from Christ, you who would be justified by the law; you have fallen away from grace. For through the Spirit, by faith, we ourselves eagerly wait for the hope of righteousness. Like I said, the best thing about all this for me right NOW is we can help you get to this place – you can find the freedom from the shackles of fear, judgment, criticism, condemnation, and behaviors that enslave you. Deb & I wrote a book that helps parents do this, all while developing a more fulfilling relationship with our teens & tweens. The release date of With All Due Respect: 40 days to a more fulfilling relationship with your teens & tweens is next week – August 2nd. We have an eCourse starting this fall that you can get into, also. I hope you’ll join us.
. . . All problems are basically love problems. . . If we can really get in-touch with and fully experience God’s affection and love, God-style healing love, we will become adequately equipped. 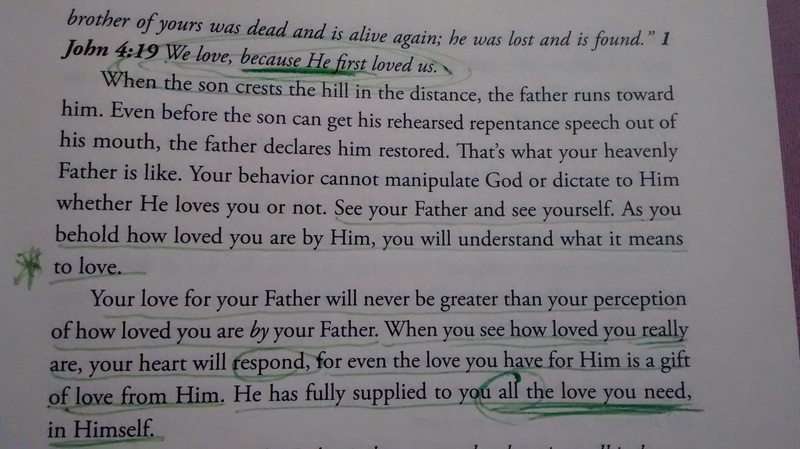 We need to be loved-on by God so we can heal. I would guess that all wounds (—all issues) come from God’s pure love not being adequately applied to all the various areas in our lives.
. . . You say: “. . . it starts with our thoughts and our understanding of love. This stuff is also talked about in depth in our book that comes out Tuesday, With All Due Respect” . . . . —Excellent, can’t wait. . . . . . “Our heart cannot respond until we SEE how loved WE really are by Him. And we can’t pour that out onto others until WE understand HIS love for us. . . . Most women overeat from low self-esteem or to manage stress, which if you think about it, you’ll see they are basically the same thing. . . When we understand how much He loves us – we can then choose which thoughts align with His thoughts – and refuse the others, or POP! them.” —Exactly! 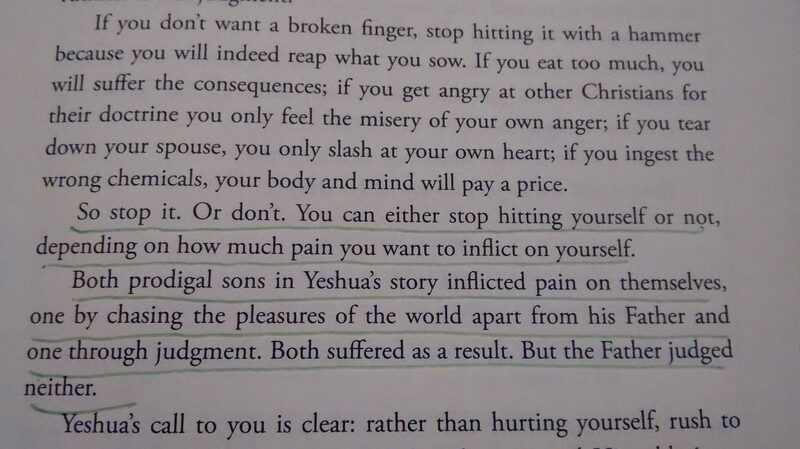 “Can you see how much of our self-destructive behavior is judgment of ourselves?” . . . Yes I can. The issues (whatever form it takes) would not be happening *externally* if it is not happening *internally*. I have to BE the change I want to see in my world. “This sin shows up as criticism. . . . These things get in the way of God’s love for us, and in turn, then get in the way of the depth at which we can love others.” . . . . I see that in myself, every criticism, every judgment, every diagnosis and certainly most every expression of anger is the tragic articulation of an unmet love need. From love to love – is what we call LIFE! God’s Love is the only truth. Interesting how these blog posts of yours always seem to be custom tailored for where I am at the particular moment. I was just thinking yesterday about weight loss and how I know I overeat, and that I don’t like the weight I’m at simply for how it holds me back from being free to move and do activities I enjoy, I think you nailed it. Whenever I sit down to relax, I tend to sit down with a snack….I need to learn how to practice relaxing without the food element (cause honestly most of the time I snack I’m not even hungry.). Thank you for sharing this! Love you dear sister in the LORD.